Denmark’s Volbeat are an enigma. Blending rockabilly, country and metal, they have created a sound that is simply their own and incredibly unique. Early on in their career you couldn’t even purchase their albums stateside and now their releases are consistently rising towards the top of the charts. It has been three years since their last release and they are back with their swagger intact with their sixth full-length release, Seal The Deal & Let’s Boogie. Crooner Michael Poulsen possesses an instantly identifiable voice that sets him apart from all of his counterparts. More than ever, Poulsen has mastered his songwriting craft, as his material is catchier than ever. Throughout their new release Volbeat blend Metallica inspired riffing with melodies that are instantly unforgettable. Where their last release Outlaw Gentlemen & Shady Ladies was harder hitting and focused more on driving riffs, this time around the focus is on Poulsen’s melodies being larger than life. The album kicks off with the first single “The Devil’s Bleeding Crown,” which contains a mid tempo heavy riff that starts the record off with one of the heavier moments. They continue to show their heavier side with tracks like album closer “The Loa’s Crossroad,” the Middle Eastern flavored “The Gates Of Babylon” and the crushing title track, which also features a stellar solo by guitarist Rob Caggiano. 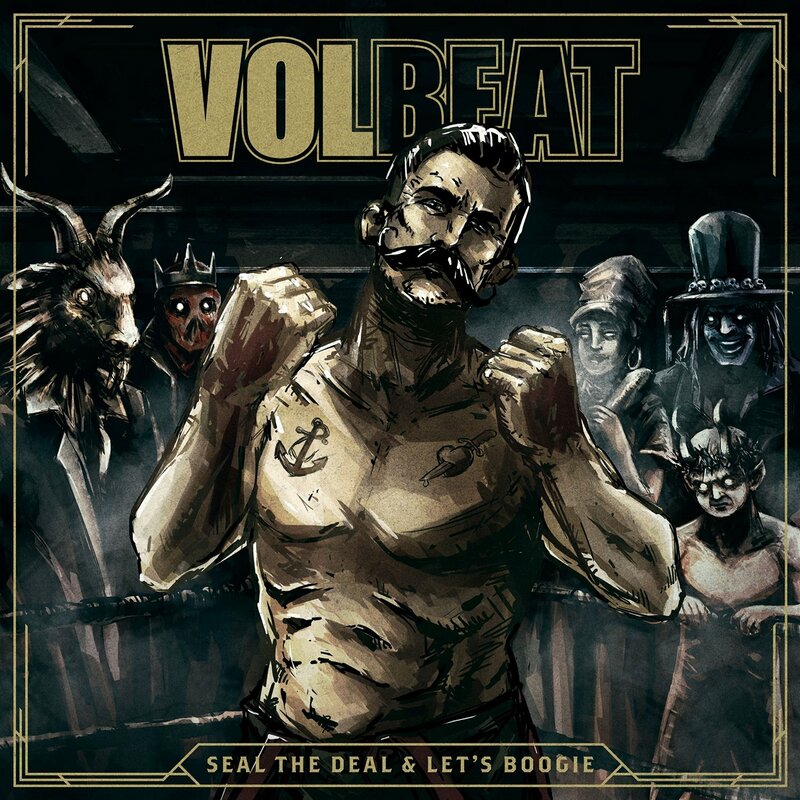 Volbeat are known for adding covers to their records and their latest is no different. The Teenage Bottlerocket track “Rebound” is a perfect blend of ’50s rock sensibilities infused with punk. It is the perfect amalgamation of The Misfits and The Ramones. The other cover is a faithful rendition of The Georgia Satellites “Battleship Chains” that fits Volbeat’s sound flawlessly. The highlight of the record is the gospel inspired “Goodbye Forever.” Utilizing the Harlem Gospel Choir, it finds them taking a bold chance, which is a huge success. Amazing melodies abound with some poignant, touching lyrics. “Black Rose” featuring Danko Jones and second single “The Bliss” also find Volbeat firing on all cylinders. Volbeat continue to grow but have never lost sight of their original sound. In this day and age of bands being uninspired and unoriginal, it is refreshing to see a band of Volbeat’s originality and passion to be one of today’s most successful hard rock/metal bands. Seal The Deal & Let’s Boogie is incredibly strong front to back, is the most consistent of their career, and is one of my favorite releases of 2016.